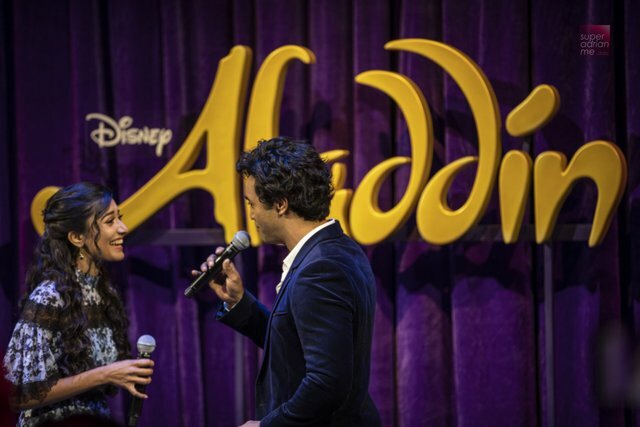 Disney’s Aladdin Broadway Musical is headed to Singapore as part of the final leg of the Australian/Asian tour on 21 July 2019 shortly after the release of the new Aladdin Movie. It is the first time Aladdin is performed in Asia. 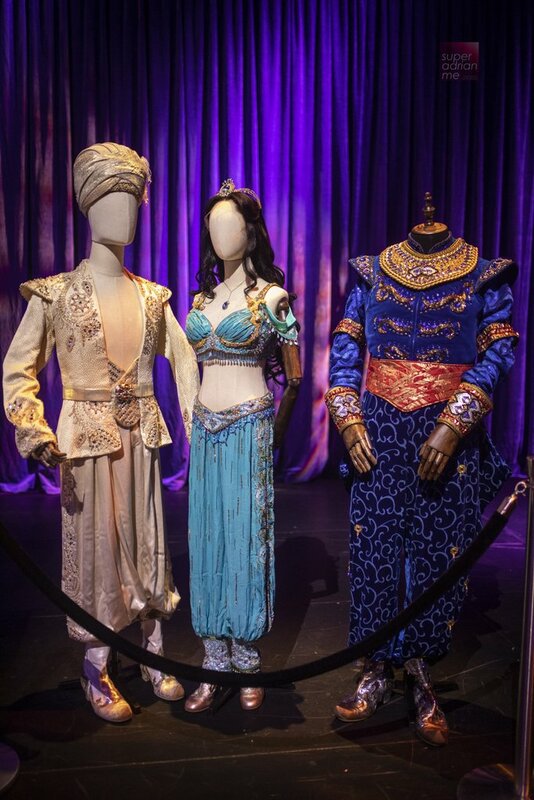 The musical is based on the Academy Award-winning animated film first released in 1992 & One Thousand and One Nights and is produced by Disney Theatrical Productions. Other musicals produced by Disney Theatrical Productions that has made its appearance in Singapore include The Lion King with two separate seasons in Singapore as well as Beauty and the Beast. This production features a full score, including songs from the soundtrack and more written especially for the stage. The 2019 Aladdin movie directed by Guy Ritchie and produced by Dan Lin and Jonathan Eirich is expected to release 23 May 2019. Looking forward to watching the film before the musical featuring casts including Will Smith who plays the Genie, Mena Massoud who plays Aladdin, Nasim Pedrad who plays Dalia, Naomi Scott who plays Princess Jasmine, Marwan Kenzari who plays Jafar, Billy Magnussen who plays Prince Anders, Numan Acar who plays Hakim, Navid Negahban who plays the Sultan, Cassie Clare who plays the Peacock, Robby Haynes who plays Razoul and Alan Tudyk who plays Iago. Graeme Isaako from Sydney, Australia will play the lead role of Aladdin. He has performed in many other musicals including his mainstage debut in 2002 in Oliver! int he role of Dipper, The Lion King as Adult Simba, THe Mikado – Nanki Poo, Shakespearean Idol. He has also appeared in So You Think You Can Dance Australia – Series 1, Top 6, The X Factor, The Voice Australia, MTV Music, Carols int he Domain and The Wayne Brady Show. Graeme has also danced with Ricky Martin, Duffy, Timomatic and Jessica Mauboy. 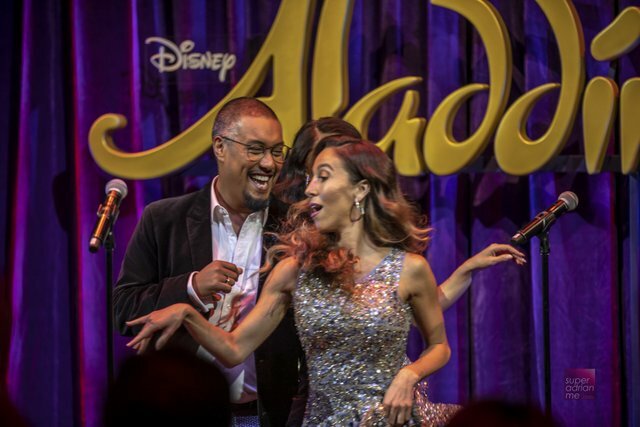 Singing beside him is Shubshri Kandiah as Princess Jasmine. Shubshri trained in musical theatre at The Queensland Conservatorium Griffith University and graduated in 2017. She has performed in musicals including Sweet Charity, The Life, I Love You You’re Perfect Now Change and West Side Story. She performed the role of Ayah in Opera Queensland’s The Pearlfishers at QPAC as well as being a featured vocalist with the Queensland Pops Orchestra and performed a duet with Liz Callaway. Shubshri has a beautiful voice and I was rather enchanted by her performance with Graeme at the Singapore Media Launch. Listening to A Whole New World has brought back memories of the original soundtrack performed by Lea Salonga and Brad Kane of the 1992 animation film. A few days before Lea Salonga turned 21, she recorded a Whole New World, and that was in her opinion an awfully cool 21st birthday present. 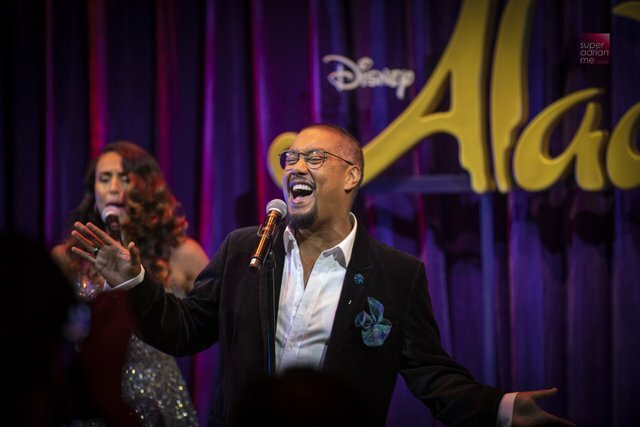 The Media Launch was held on 19 March 2019 at the Sands Theatre where we got to hear three songs – Proud of Your Boy, Friend like Me and the ever so popular A Whole New World. It was held in a cosy setting behind closed curtains on the stage at in the theatre where the musical will be performed in July. The three main cast were not in costumes and they didn’t have a full stage setup with props or back up singers and dancers. 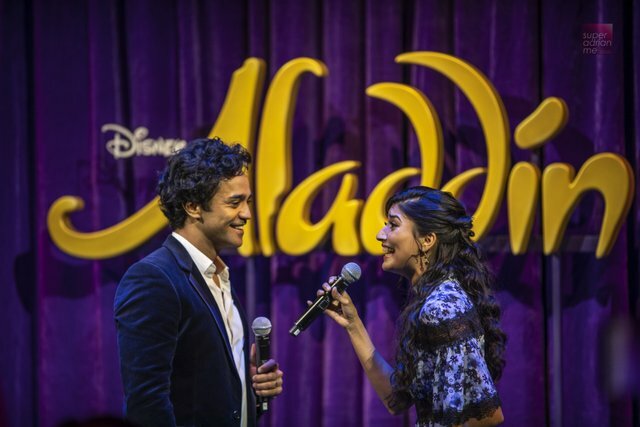 Nevertheless, I am still looking forward to the musical and definitely the flying carpet scene where Aladdin sings A Whole New World with Jasmine. Having missed the musical in Sydney, London and New York, I have to try not to miss it again when it opens in Singapore. But the life of the musical, in my opinion, goes to the Genie, performed by Gareth Jacobs. Gareth trained at the University of Allarat in Victoria and graduated with a degree in musical theatre in 2003. He was once the lead vocalist and vocal captain for Royal Caribbean International and Celebrity Cruises. He has appeared in musicals such as Pal Joey, Kiss Me Kate and Company. He was top 24 on The X Factor – Australia in 2010, played Jimmy Early in Dreamgirls for StageArt. Gareth took over the role of Genie during the Melbourne season of Aladdin. Tickets for Aladdin start from S$68 and can be purchased at marinabyasands.com or SISTIC. The show opens 21 July 2019 and ends 11 August 2019 unless extended. Shows are held at Sands Theatres in Marina Bay Sands at 7.30pm from Tuesdays to Saturdays and also 2pm on Saturday and 1pm & 6.30pm on Sundays. The musical is promoted by BASE Entertainment Asia.